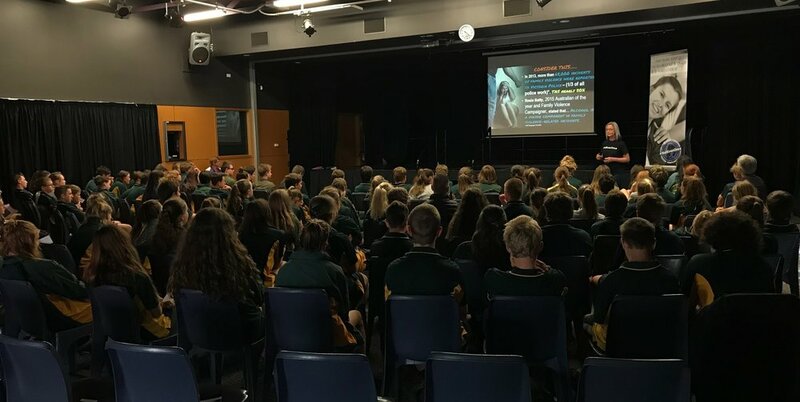 Delivered into Primary Schools, High Schools and Colleges, the comprehensive seminars provide students and teachers with current scientific, medical and statistical information on the issues surrounding drug and alcohol use, particularly on the impact of AOD use on the developing brain. Being the ambulance at the bottom of the cliff, rehabilitating those in addiction for over 46 years, we recognise the need to build resiliency, understand causation issues and equip students with alternate coping mechanisms, empowering them to recognise alcohol and other drug use as often a "mask" for social, mental, physical and emotional issues, thus building fences and steering them away from the cliff of addiction. #NotEvenOnce® aligns with existing schools health curriculum, bringing a professional "external face" and ties the students learning together and brings it to life in a very personal way. Recent program outcomes evaluation of the #NotEvenOnce® Project by an Australian University (contact us for details) revealed many of the schools had a significant "knowledge gap" in the AOD space. The evidence shows #NotEvenOnce® bridges this gap and aids schools in bringing the students to the level of understanding they should be at. We understand a single seminar is not going to "fix" the issue. #NotEvenOnce® is recommended to be completed each year as we journey the students through seminars tailored to their development level. Material is always up-to-date and latest real world evidence. In addition, through our alignment with the Dalgarno Institute, we are able to link schools with effective, complete "real world" curriculum for teachers to deliver within health programs, thus increasing the impact of the seminars and building deeper resilience within young people. The #NotEvenOnce® School Film Competition has been designed to help students and schools take the "next step" following a presentation. We see students and teachers passionately activated following seminars wanting to make a difference and reach peers. The #NotEvenOnce® School Film Competition enables a creative engagement for young people to express their passion and become powerful, positive change agents amongst their peers and communities. Effectively driving a movement to turn many young lives away from addiction. it is common for students to seek help following a #NotEvenOnce® delivery in their school, as they recognise potential causation signs in themselves or even loved ones. We assist as a catalyst to engage the students into the existing services provided in the school and local service providers. Teen Challenge centres can assist externally as support to schools if requested. The #NotEvenOnce® project has now been delivered to around 16,000 NSW and TAS students, teachers, sporting club members and community members. Students ranged from grades 6-12. Looks at causation issues and foundational aspects for developing resiliency around AOD issues. Seminars are 60 - 90 mins in length. #NotEvenOnce® programs for Primary Schools are also available. Did you know the THC (mind altering component) content in Cannabis today in comparison to that available in the 80's is almost 250% higher*? it's an entirely different drug! Some of this information will be very new to many people, there can be a variety of mixed messages our young people hear - even from home. #NotEvenOnce® aims to assist parents, teachers and community members get up to date with the latest information as their children are within the schools programs. The Seminars for Parents, Teachers and Community members are designed to educate on Alcohol & other Drugs effects on the brain and body. Signs to look for with your young people and loved ones. Equip with tools to have conversations and help build resilience in your families. Combined with the #NotEvenOnce® Schools Projects a Parent/Teacher seminar will ensure influential people in your young peoples life are on the same page and can have meaningful, open discussions and positive influences in this space. It is time to challenge some of the culture in our communities and together we can make a very real difference for our future generations. Please note: Teen Challenge Australia, whilst a faith-based organisation, respects the secular environment of state schools, all our schools based programs are secular unless requested to deliver a non-secular version within non-secular schools.